One of the ways that Reward Gateway, a world leader in integrated employee engagement technology, has kept their culture alive and current as they’ve grown from one small office in London to nine offices in seven countries around the world is with the help of their global Culture team. This team, which has representatives from each office, has responsibility for looking at every aspect of their office’s culture and values, making sure they’re understood and practiced in their day-to-day working life. “The Culture team is here to coordinate, listen, counsel and share, and help every single member of the RG family enjoy their time at work!” says Robert Hicks, HR Director. The Culture team is here to coordinate, listen, counsel and share, and help every single member of the RG family enjoy their time at work! In focus sessions conducted by the Culture team in 2017 they heard that employees were feeling more and more removed from their global colleagues, feeling siloed as the company had grown. With multiple offices in different countries and time zones, it was getting harder and harder to feel connected. With a company value of “think global”, which talks about acting as one team across the whole company, and diversity and inclusion as a key part of our strategy, the Culture team decided that they needed to do something about this problem. The result was putting in place a program called ‘Donut Time’ in February 2018, using an App called Donut which integrates with Slack, the internal messaging tool used at Reward Gateway. The aim of the App is to strengthen relationships, empathy and culture. In true Reward Gateway style, they didn’t merely take the product off the shelf, but added their own innovative and rebellious approach to make sure it delivered against their communication and collaboration objectives. “Knowing more about each others’ individual interests and experiences can only help us be a better team”, says Doug Butler, CEO. Knowing more about each others’ individual interests and experiences can only help us be a better team. 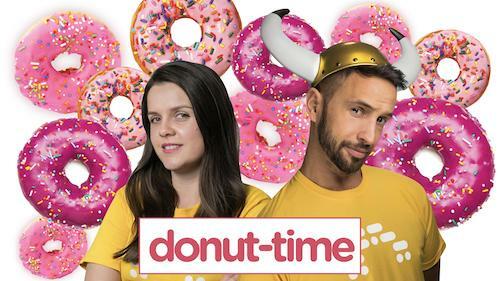 Donut Time works by pairing together two random people through the App, notifying them automatically through the bot, and then encouraging them to meet for coffee, snacks or, of course, a donut, either in person or virtually. 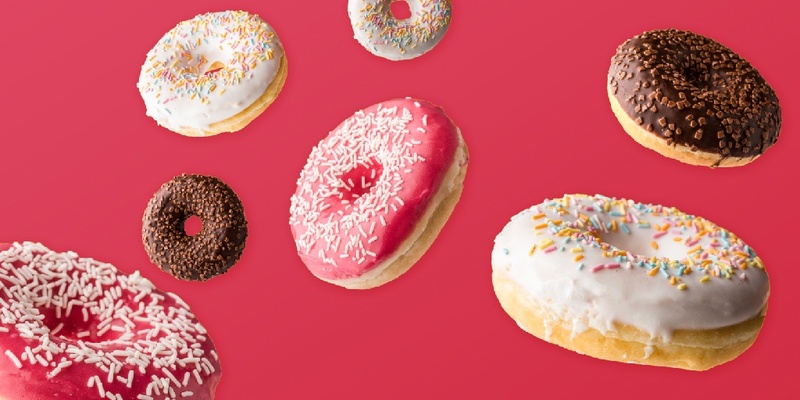 Employees are not forced to participate, in fact they can opt in or opt out at any point in time by joining or leaving the slack channel named #donut-time. The new program was launched in February 2018 with a ‘Go Nuts for Donuts’ campaign communicated through boom!, RG’s online communication platform. Special treats to add ‘extra sweetness’ were included in the launch such as donut sticker packs given out to the most active users of the channel and, of course, freshly-baked donuts to enjoy as employees chatted to fellow employees about the new program. 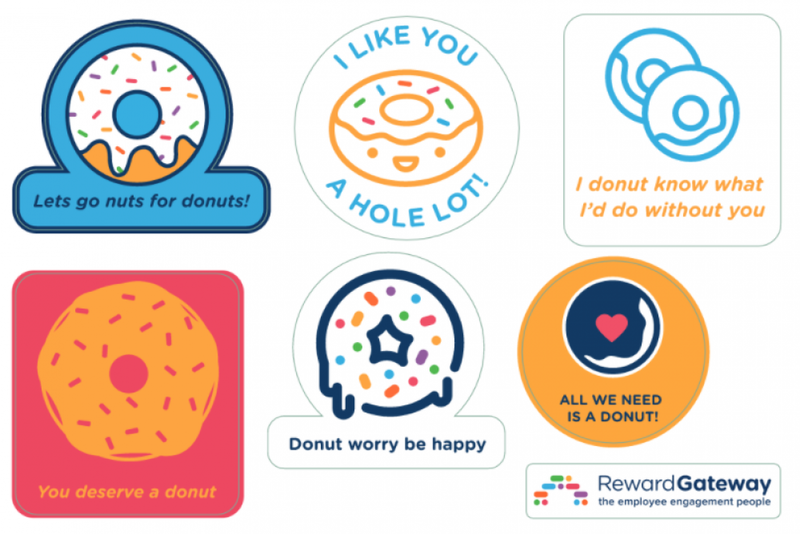 Another key element of the launch were special recognition eCards which were created to be used for donut-related activities, creating recognition moments through RG’s online recognition platform called ‘MORE!’. These helped raise further awareness of the program, encouraged recognition, and created additional fun for the launch. The program has been a success, with approximately 40% of employees participating and on average 70 introductions happening each month. RG have found that it has been a great way to break down false barriers and promote collaboration, share best practices, and learn what other individuals and teams are doing to make RG a great place to work. It's been especially helpful for new starters, as a great way to meet people as they learn about the company and make important connections and relationships. “The feedback on donut time has been incredible. We are really proud to say we spoke up, we owned it, and we are now thinking global!” Megan Watts - member of RG Culture Team and Employee Engagement Specialist. Donut time has worked for Reward Gateway as a natural extension of their company values and as a way to enable open and honest communication so that all employees feel appreciated and involved. It’s a great example of using a channel that prioritizes personal interaction where employees feel closely linked not only to others but to the organisation as a whole, through the use of technology. It shows how communication can come full circle, just like a donut. Identify if you have collaboration and communication challenges at your company, and if so, find ways to overcome them by putting in place your own version of donut time. When launching a new program, find ways to integrate it with existing programs such as your recognition program to help employees understand how they all work together. Donut stop believing! Remember to not take ourselves so seriously and have some fun. Continuously try out new programmes at your organisation because you never know what might stick and improve your employees’ experience. Read more: Click here to read a blog written by Meghan Barrett, Content Marketing Editor at Reward Gateway, on her experience of Donut Time as a new employee.